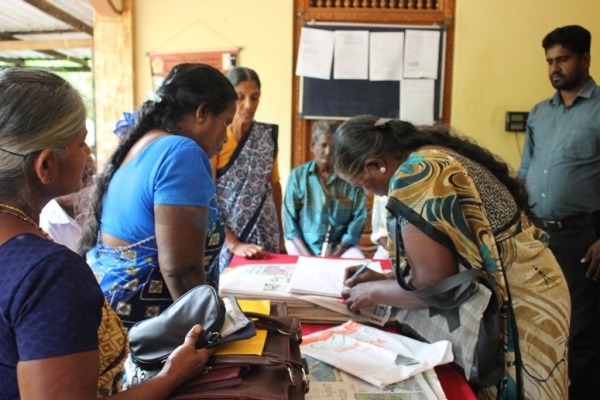 Tamil families of the disappeared filed a Right to Information (RTI) request with the Sri Lankan Human Rights Commission (HRCSL), inquiring about the status of complaints they had registered with the commission in 2012. A number of families had registered complaints six years ago about their forcibly disappeared relatives and had received no response since. The families registered an RTI request at the Vavuniya HRCSL regional headquarters on Friday, demanding a response to their original complaints.